When you arrive at the airport you will be met by a member of our staff who you’ll find near to the exit doors and who’ll be holding a sign with your name. From here you will be escorted to your clean and fully-maintained hire vehicle. It’s not far away and from here you’ll be able to continue on to your final destination without any fuss or problems. We are open 7 days a week from 08:00 to 21:00. After hours services are subject to a 15 euro charge and a pre-booking is required to collect your vehicle. In case of emergency, we provide 24/7 assistance on our emergency number 0030 698 301 48 99. At the pick-up our staff member will complete a rental agreement with you so please remember to have your documents, driving license, passport/ ID card and payment. For those travelling with children we offer baby/child seats and boosters, please make sure that you tell us your needs at the time of booking. 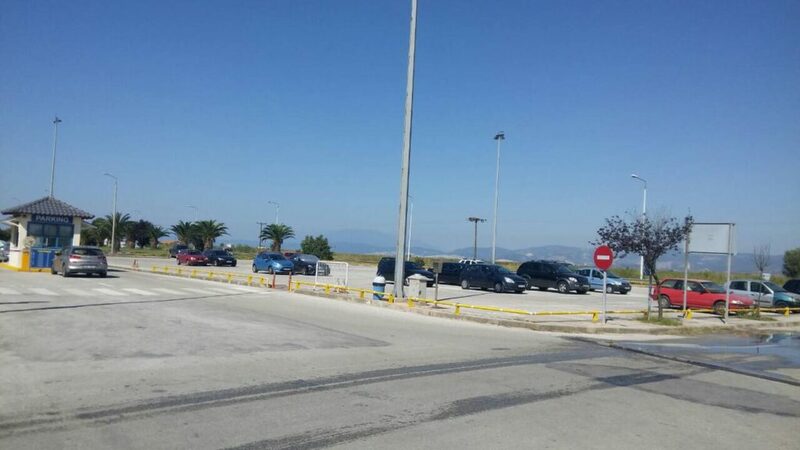 Kavala Airport is well situated and offers easy access to the ‘Egnatia Odos’ (European Motorway route E90), which is the quickest and safest route across Greece. The ferry port of Keramoti is only a short drive away from Kavala Airport and is well signposted. On your journey to the port you will pass through the small village of Agiasma, which is famous for a pair of storks that return to breed at the same nesting site built on the church’s clock tower every year. Keramoti is a small but busy fishing port and is the most popular route to Thassos island. The ferry lands at Limenas – Thassos Town and the the crossing takes approximately 45 minutes. Keramoti has a few hotels, restaurants and tavernas and a very popular long sandy beach. Kavala ferry port is easy to reach from the E90 motorway, which you can join at Kavala Airport and is well signposted. Kavala ferries land at Prinos, Thassos and the crossing takes approximately 1¼ hours. The ferry service here is more limited than at Keramoti. However, Kavala is well worth a visit. There is a beautiful working fishing harbour and the city itself is built amphitheatrically offering magnificent views over the coast and the crystal blue waters of the Aegean sea. Kavala has a cosmopolitan feel with its many hotels, restaurants, tavernas, cafes and fashionable shops. The old town ‘Panagia’ offers a chance to see into its long and complex history. There is a Turkish quarter surrounded by Byzantine walls and a castle offering stunning views over the city, the Aegean sea and Thassos island, something for everyone. On the opposite side of the E90 near to Kavala is Philippi which boasts a very rich history including a major Roman battle and is well worth a visit. The timetables for the ferries are updated on a weekly basis. Click here for latest timetables and information about Ferry boats to Thassos. It is always worthwhile checking to see if there are any last minute changes to the itineraries. Tickets cannot be purchased in advance or online. You must buy your tickets at the kiosks in the ports. Last but not least, please remember if you are using a car from Potos Car Rentals you will need our written (on the Rental Agreement) permission to travel with the car on any of the ferries. Once on Thassos please let us know in advance if you plan a trip to the mainland in one of our cars. 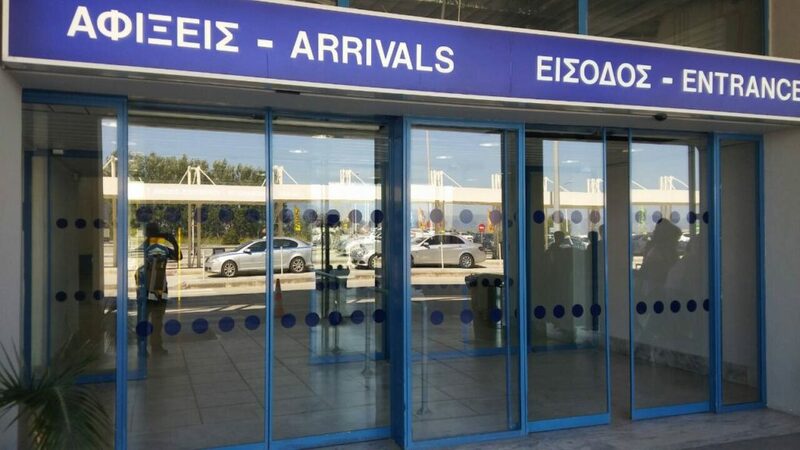 The airport at Kavala is relatively small compared to some of the bigger airports in Greece, this means that you should find the car hire companies very easily on arrival. The car hire company representatives should be on your left hand side, immediately after you've collected your suitcases at the luggage drop. Some of the car hire companies don't own a front desk in the arrivals hall, those representatives you will find standing near the exit doors or outside the arrivals building, waiting to welcome their customers. If the car hire company you've decided to book with has a meet and greet service, you should be met by a representative in front of the arrivals hall, near the exit doors, who will be holding a sign with the name you booked your car hire under. It is always useful to keep or write down the contact telephone number at the time of booking in case you struggle to find the car hire company representative in the arrivals hall. Each car hire company should have a service desk in the arrivals hall, if your booking doesn't include a meet and greet service, you will have to search for the desk of the company you hired the car with in order to pick up your vehicle. On returning your vehicle, you will drop off the car at the parking area of the car hire company you booked with. This is usually located within walking distance of the arrival and departure lounges but the car hire company should instruct you as to where this is when picking up your car. Which Car Hire Office has the Biggest Queues? The car hire companies that own a front desk in the arrivals hall operate on a first come first served basis. This means that if you are unlucky and your suitcase comes out of the luggage area last, you might have a long queue on your hands. Usually the biggest international car hire companies get crowded very quickly, with these companies requiring deposits or credit card information, which only serves to exacerbate the situation. It is therefore advisable to send the drivers to collect the car while the rest of the group picks up the luggage. Where do I Pick my Hire Car up from? Most car hire companies deliver the cars straight to the airport parking area, which is located 10 metres from the arrivals/departures hall. What Times are the Car Hire Offices Open? The normal office hours are from 08:00 until 21:00. In some cases out of hours charges apply before 08:00 and after 21:00. Car Hire at Kavala Airport - What Else do I Need to Know? The high season is usually between July and August, this is when the airport experiences the most amount of departures and arrivals. It is important that if you are travelling in these months that you make sure you book your vehicle in at least 1 to 2 weeks in advance, otherwise you risk not being able to find the right car for your needs. Can I go on a Ferry with all Car Hire Companies? Many car hire companies forbid customers from travelling by ferry in their hire cars as in many cases, the full damage waiver is not valid on a ferry and there may be extra fees that are applied. However, Potos Car Rentals does allow their customers to take their hire cars to Thassos Island. There is one filling station 2 kilometers from the airport, for those needing to fill up their tanks on the way back to the airport. You will also find more filling stations on the road to Keramoti port. Most of the filling stations operate from early in the morning from 07:00 am until 23:00 pm. Is it Cheaper to Hire Away from the Airport? Hiring your car away from the airport can be cheaper but it depends entirely on where you are traveling. If you are travelling to Thassos for example, it makes economical sense to pick up your vehicle from Limenas port. This will save you around 35 euros as you avoid the ferry. However, if you are travelling to Keramoti it makes sense to hire a car from the airport as the taxi fare to Keramoti is normally 20-25 Euros. Prices on Thassos can be cheaper due to extra costs that are applicable at the airports for example, parking costs, airport taxes, fees etc. Which Car Hire Company Should I Choose? There are many car hire companies, with a wide range of services, perks and offers to choose from but which one should you pick? Many of the big car hire companies require a credit card when picking up your car, if you feel uncomfortable or aren't able to provide a credit card for whatever reason, then a local car hire company, like Potos Car Rentals, would be the perfect choice. This is because Potos allows its customers to pay in cash and requires no deposit. Book early - The earlier the better, even during winter time or the low seasons. Book directly via the company's website - Try not to book through 3rd parties or comparison sites at these usually include extra fees and commission. For Low Seasons Book by Phone - Sometimes you get better offers via phone for bookings for low season months; May, June and September. What Types of Car Can I Hire? Named after Alexander the Great, Kavala airport is located in the municipality of Nestos, near the town of Chrysoupoli. Originally used for domestic flights, in 1987 the then minister of transport and communications made the decision to open it up for international flights and now sees yearly passenger footfall of 300 thousand. 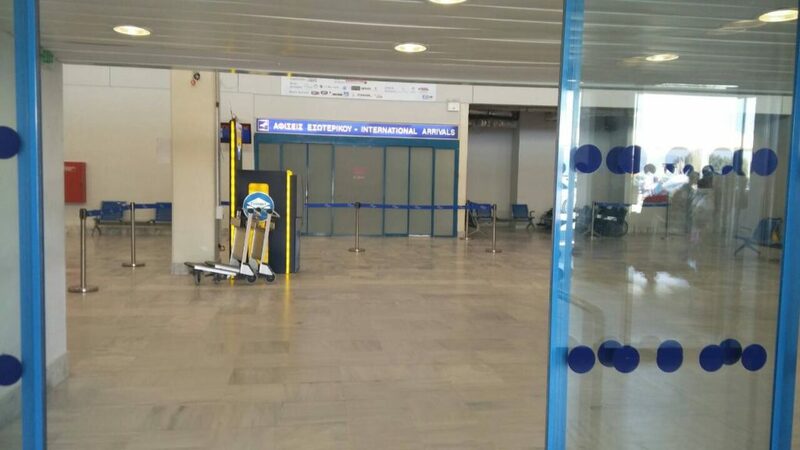 Although not one of the biggest airports in Greece, many of the top airlines in the world arrive and depart Kavala airport on a regular basis. With more than 3 thousand departures a year, airlines in Kavala fly all over Europe including: Helsinki, Amsterdam, London, Brussels, Minsk, Copenhagen and Munich. On 22 March 2017 Fraport-Greece, a German transport company with interests in the operation of several other airports around the world including Kavala, presented its master plan for the 14 Greek regional airports. the improvement of lighting and marking of airside areas. Along with the immediate actions, Fraport Greece also outlined plans for further airport enhancements to start in October 2017 and to be finished by 2021. 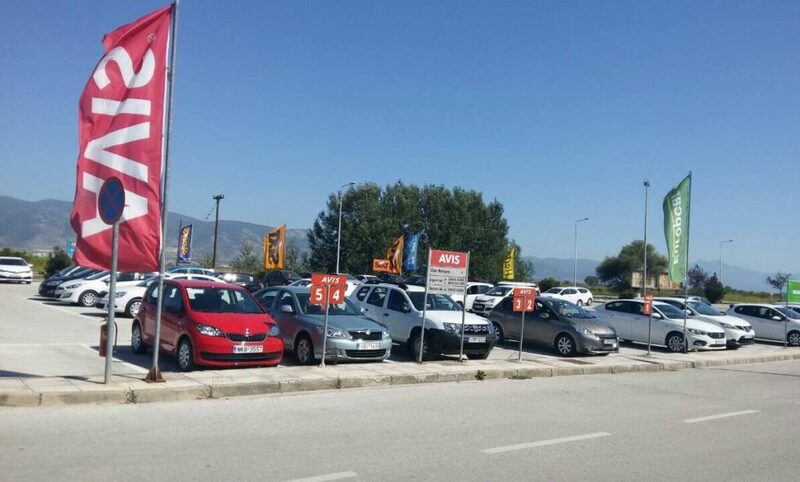 Here is a list of the various car hire companies that operate out of Kavala Airport. Hiring reliable and affordable cars to holidaymakers and Visitors to Greece since 1988, Potos Car Rentals offers a wide selection of cars with fully comprehensive insurance and customer service that can't be beat. An American car rental company that offers premium car and van rentals holidaymakers and businesses alike. Sixt is a European multinational car hire company with about 4000 locations in over 105 countries. Hertz is the second largest US car rental company and operates in 150 countries. 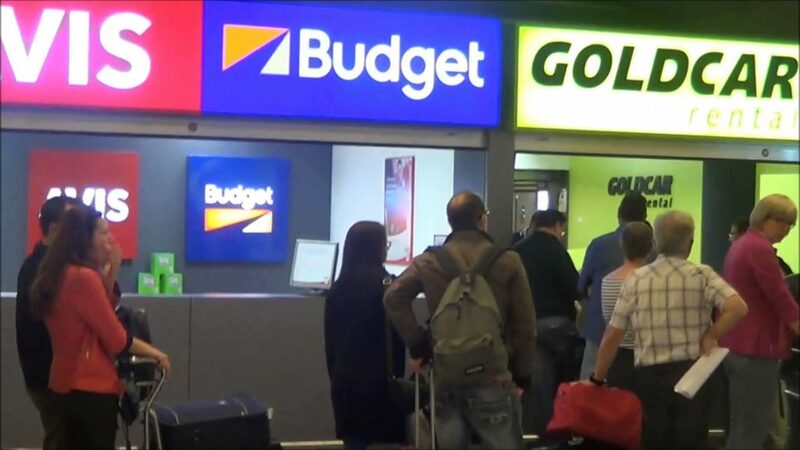 Founded in 1958, Budget is an American car rental company that offers cheap car and van hire worldwide. Offers short and long term car hire and an extensive range of cars and vans to choose from. A French car rental company found in 1949, offers car and van rentals worldwide. Enterprise Rent-A-Car is an American car rental company which offer quick and easy car rental bookings.